When assessing what we wish we had done differently, I wish that tax-free savings accounts had been around when I was in my twenties because they offer a great opportunity to build tax-free wealth, which you can use to boost your retirement or to have as a lump sum one day when you want to make a really big change. 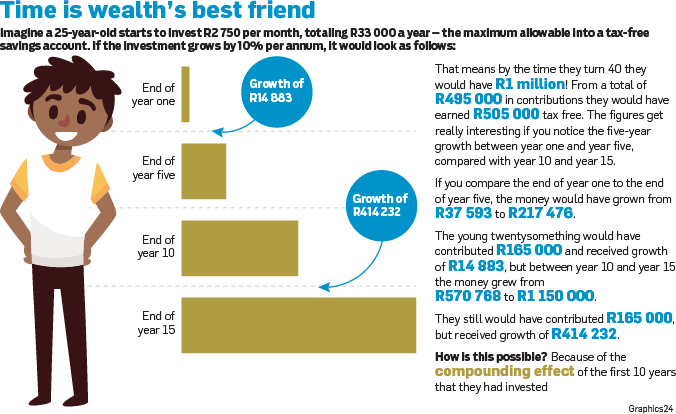 Imagine if, at the age of 25, I had started to invest R2 750 a month (R33 000 a year) – the maximum investment – into a tax-free savings account. The longer you are invested, the faster the growth rate. So now I have invested my lifetime of contributions to a Tax-Free Savings Account (maximum of R500 000), but I also have other expenses to deal with like mortgages and kids education. So, I stop contributing and just let the money grow – leaving compounding to do its work. 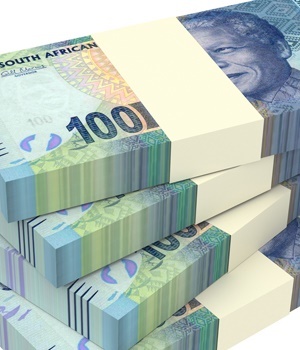 By the time I reach 45 the money has grown to R1.9 million. By the time I reach 50 the money has grown to R3.1 million, tax-free. That from a total of R495 000 in contributions.